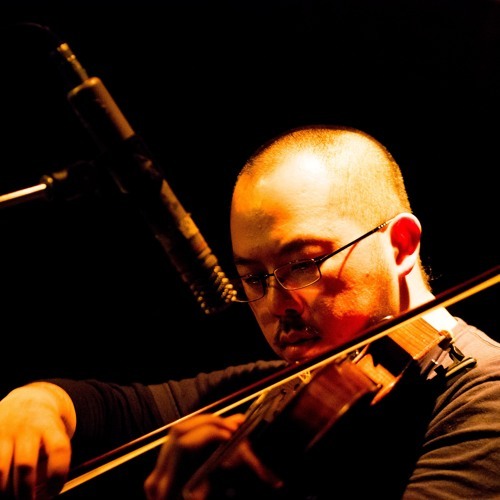 Berlin-based composer-performer JOHNNY CHANG engages in extended explorations surrounding the relationships of sound/listening and the in-between areas of improvisation, composition and performance.&#13; &#13; Johnny is part of the Wandelweiser composers collective. He currently collaborates with: Peter Ablinger, Antoine Beuger, Lucio Capece, d'Incise, Claudia Garbe, Catherine Lamb, Hannes Lingens, Radu Malfatti, Mike Majkowski, Chris Newman, Koen Nutters, Morten J Olsen, Michael Pisaro, Derek Shirley, Rishin Singh, Taku Sugimoto, Takako Suzuki, Stefan Thut, Manfred Werder. &#13; &#13; As composer and performer, his articulated performances have been featured in: Moment Musicaux (Aarau), Sonic Acts Festival / DNK(Amsterdam), Q-O2 workspace (Brussels), reiheM (Cologne), Donaueschinger Musiktage (Donaueschingen), Wandelweiser Klangraum (Düsseldorf), cave12 (Geneva), Stark Bewölkt (Hamburg), Cafe OTO (London), The Wulf (Los Angeles), Klang im Turm (Munich), Umlaut Festival (Berlin&Paris), Dotolim (Seoul), Crow with No Mouth (St Paul, Minneapolis), rhiz / Reheat Festival (Vienna) to various experimental music series/venues in Berlin such as ausland, Errant Bodies, Labor Sonor, Quiet Cue, MaerzMusik, N.K., Studio 8, Sophiensaele, Uferstudios, WestGermany.&#13; &#13; Since November 2010, Johnny Chang and Koen Nutters initiated and co-curates <a rel="nofollow" target="_blank">Konzert Minimal</a> which presents performances and events centered around the music of the Wandelweiser group.&#13; In 2018, sees the begnning of a new initiative for the presentation of creative research and performances, "Partitions & Resonances", aimed at encouraging new and ongoing collaborative between the varied disciplines of composition, musicology, historical research and performance.